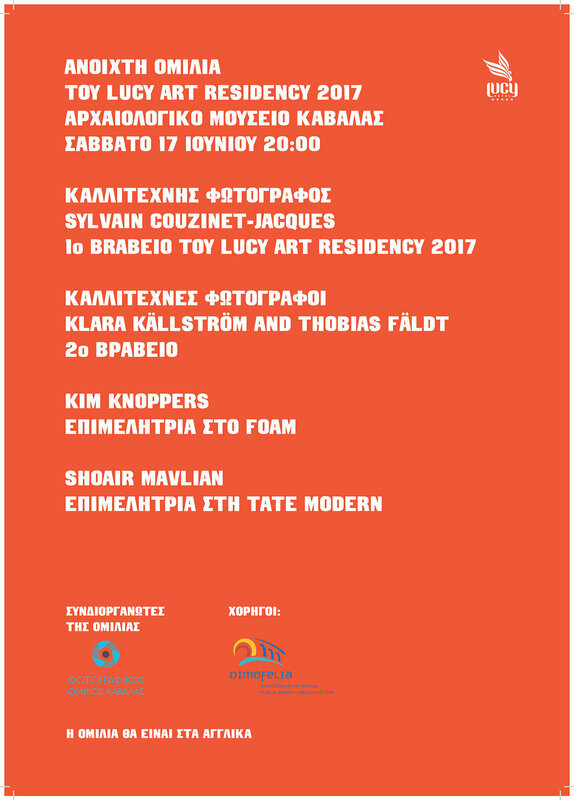 We are very pleased to announce the 1st Lucy Art Residency Talks at the Archeological Museum of Kavala, Saturday 17th June 20:00. The Lucy Art Residency programme offers the opportunity for an artist based in Europe and the Mediterranean whose main practice is photography focused to spend two weeks in June 2017 in Kavala. Τhe selected artist will have the opportunity to live and work in the coastal city in the north of Greece with transportation, accommodation and subsistence covered. The goal of this residency is to give the artist two weeks of free time to explore Kavala and the regions around the city. Furthermore the artist will be commissioned to produce one new artwork that will be part of the archive of the residency, accessible to the visitors of the hotel as well as the future residents.